Present Tense, Past Tense & Future Tense. Errors generally occur due to incorrect use of a tense in sentences. These can be avoided by understanding proper use of a tense and meaning of the sentence. and in second part we use future tense(future indefinite tense). Unless you walk faster, you will be late. If you do not work hard, you will not succeed. If you finish your work in time, you will get a prize. Unless you complete your work, I shall not allow you to leave. Here action is to take place in future in both the cases but we donot use future tense in both parts of the sentence. In these sentences, action may relate to present or future time. 1. If action is to take place in present time, we use present tense in both the conditional as well as main parts of the sentence. If I take stale food, I fall ill. If a player gets a prize, it encourages him. If water freezes, it turns into ice. If I walk fast, I get tired. If one takes exercise, one remains fit. 2. If action is to take place in future time, we use present tense in the conditional clause and future tense in main part of the sentence. If I feel unwell, I shall call a doctor. If I visit him, I shall remember you to him. If I see you here again, I shall report to the principal. If you continue to work with this company, you will certainly get a pay hike. If the main part of the sentence contains order, request or instructions etc. the main part is changed to imperative sentence. e.g. If you meet his parents, please pay my regards to them. If he feels unwell, ask him to take medicine. If she goes to market, tell her to bring fruit for me. If action relates to past period, we use past tense in both the parts of the sentence. e.g. As it rained, I did not go to my office. If a dispute arose, our village panchayat decided the matter. Until you provoked him, he remained silent. As both of them failed to solve the dispute, they referred the case to police. There is exception to this. 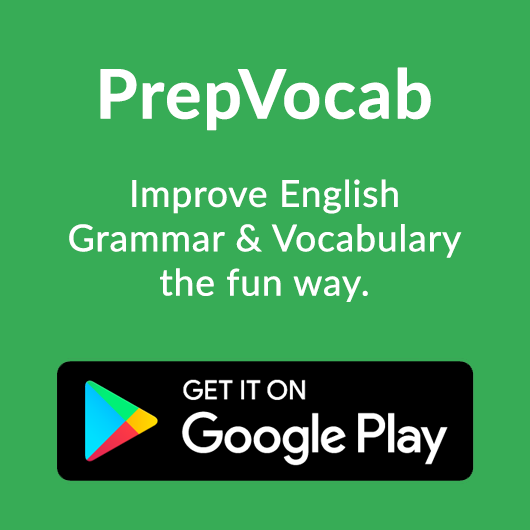 In this case action has already taken place in the past but in the sentence we use past tense in the conditional part of the sentence and future tense in the main part. e.g. Boys decided that if all went well they would play a match the next day. The principal announced that if he stood first he would be awarded a prize by the school. 3. Sometimes action was to take place but it did not. For these sentences Past Future tense is used in the main part of the sentence. e.g. If I were in the chair, I would not allow this to happen. If you were in the office, you would not do this. If I were in Delhi, I would visit you. If I had enough money, I would have helped you. If you had worked hard you would have passed. If I were a king I would have helped the poor. What would you do if you encountered a ghost? In these sentences in place of ' if ' , other words like 'Had' , 'Were' or 'Should' are also used. e.g. If I were you, I would not have agreed to his proposal. Should you work hard you would be successful. (Present tense). Sometimes sentences appear to be correct but grammatically they are not. e.g. following sentences. I did not make up my mind yet. I have painted this picture yesterday. It started raining before we reached there. He told me that he was living there for two years. All the above sentences are incorrect though these do not appear to be. Besides these appear to convey some sense or meaning too to the reader. I have not made up my mind yet. I painted this picture yesterday. It had started raining before we reached there. He told me that he had been living there for two years. He did not pay his dues yet. He still did not agree to his father's proposal. In these sentences Past indefinite tense is used but words like 'yet' and 'still' indicate that Past Perfect tense is required here. He has not paid his dues yet. He still has not agreed to his father's proposal. 2.Continuous tense is used wrongly in place of Perfect continuous tense. He is living in this house from 1998. She was doing this job for the last two years. It will be raining from morning. As these sentences depict time of action Perfect continuous tense and not simple continuous tense is to be used in these sentences. He has been living in this house since 1998. She had been doing this job for the last two years. It will have been raining since morning. 3. Present Perfect Tense is used wrongly in place of Past indefinite Tense. His father has started a new factory yesterday. He has not attended the office last Monday. She has not gone to the market yesterday. He has passed his examination in first division. She has married a doctor last month. The patient has died an hour ago. I have completed my task last evening. We all had gone to see her yesterday. I had gone to see a movie yesterday. The words yesterday and last Monday depict action in the past. In these sentences Past indefinite tense instead of Present or Past Perfect tense is to be used. The sentences given above would have been correct if these did not have word yesterday or Last Monday. His father started a new factory yesterday. He did not attend the office last Monday. She did not go to the market yesterday. He passed his examination in first division. She married a doctor last month. The patient died an hour ago. I completed my task last evening. We all went to see her yesterday. I applied for this job last Monday. I went to see a movie yesterday. The child stopped crying just a moment ago. 4. Past Perfect Tense is used wrongly in place of Past indefinite Tense. He had painted a beautiful painting yesterday. She had gone to market last Sunday. The boys had gone to the cinema two days ago. He had resigned from his service last April. As action took place in the past, past indefinite tense will be used in these sentences. He painted a beautiful picture yesterday. She went to the market last Sunday. The boys went to the cinema two days ago. He resigned from his service last April. 4. Past Indefinite Tense is used wrongly in place of Past Perfect Tense. It started raining when we reached home. The patient died before the doctor came. I finished my homework before she came. Here first action has already been completed before the second started. 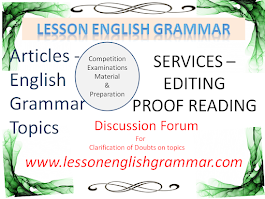 For first part of the sentence Past Perfect tense is used. It had started raining when we reached home. I had finished my home work before she came. 5 Future indefinite Tense is used wrongly in place of Future Perfect Tense. I shall finish my work before you will arrive. The labourer will complete his work before the sun will set. I shall reach home before it will start raining. Boys will reach their school before the bell will ring. In this case, action in both the cases is to take place in future . One action will be over before the other starts. Instead of Future Indefinite tense in first part of the sentence Future Perfect tense will be used and in the second part of it, Present Indefinite tense is used. I shall have finished my work before you arrive. The labourer will have completed his work before the sun sets. I shall have reached home before it starts raining. Boys will have reached their school before the bell rings. In examination the candidates are required to correct the given incorrect sentences due to errors of tenses.